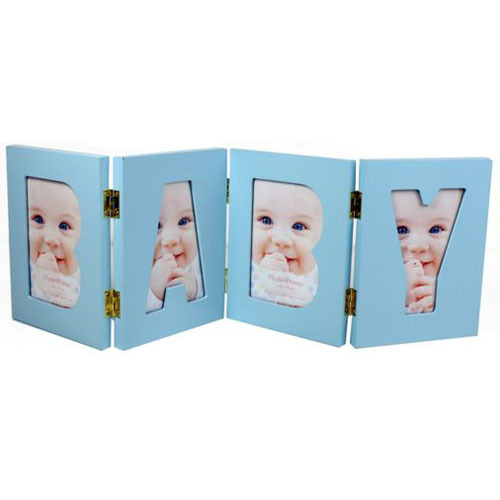 This folding free standing photo frame has shaped apertures to spell the word BABY. Perfect for any room in the house and great for shallow spaces such as window sills, mantelpieces and radiator covers. Plus you can choose how much zigzag shape you want in the frame. Excellent Gift idea.